Whatever borders follow the ongoing violence and war, they must under no circumstances be ‘natural’. 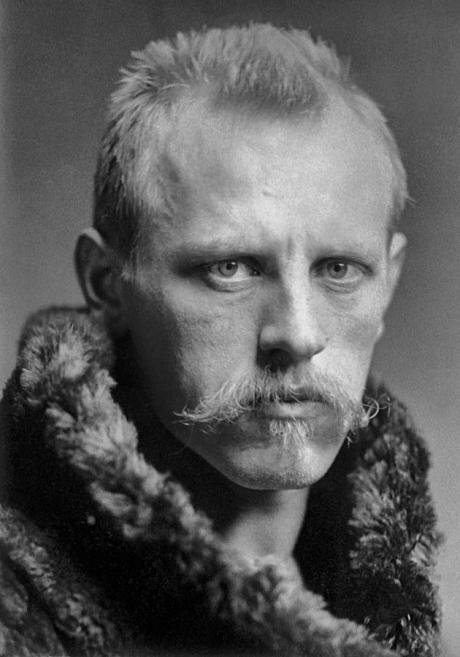 Norwegian scientist and diplomat Fridtjof Nansen, "made it happen." Wikicommons/Henri Van der Weyde. Some rights reserved.I was wading the beaches of Thessaloniki when news reached me of the centennial of the Sykes-Picot Agreement. This is the contentious British-French compromise from 1916 over spheres for influence in the Middle East that imposed new borders in the power vacuum left by the defeated and disintegrated Ottoman Empire. Increasingly, analysts can be heard claiming this a root cause of current conflicts and state failures. They hold the borders of Syria and Iraq that the Sykes-Picot Agreement created were “unnatural”. Therefore, in their view, the post-conflict political order must redraw borders to become more “natural”. The implication of “natural” borders is that they should contain a monolithic group identity. There, on the beaches of Thessaloniki, it struck me how very dangerous the thought of “natural” borders is. It certainly turned very dangerous right there in Thessaloniki, in the years after the Sykes-Picot Agreement. In Greece and Turkey, it was also thought that the new political order imposed in 1923 following the breakdown of the Ottoman Empire should be “natural”. Unfortunately, according to their novel idea of the state as a “nation”, the Greeks in Turkey and the Turks in Greece were in the wrong place. In Thessaloniki, Turks were forced to move to make room for the Greeks that had to leave Turkey. What was intended to be the democratic principle of national self-determination that rose of out of the ruins of the defeated empires in World War I, turned to forced ethnic removal on a vast scale: an estimated 1.5 million Greeks from Turkey and 500.000 Turks from Greece. Force made these nation states “natural”. What is very scary about this abuse, indeed crime by our standards, is that the League of Nations authorized it and the Norwegian polar explorer and national hero turned-international diplomat, Fridtjov Nansen made it happen. The idea of national self-determination that his fellow Norwegians, with his help, invoked successfully to break away from Sweden in 1905 turned upon its humanistic and democratic principles. When Turkey and Greece needed to reinvent their societies as “natural”, Nansen corrupted these humanistic and democratic principles, much as Kofi Annan’s idea of humanitarian intervention turned upon itself and was corrupted in the violent and destructive western military interventions in Afghanistan, Iraq and Libya. Echoes of this Turkish-Greek forced ethnic cleansing in 1923 in the current war in Syria and Iraq are ominous. More and more well-intentioned people in the west subscribe to the idea that the borders in post-conflict Syria and Iraq must become more “natural” because of the democratic principle of national self-determination. These people have forgotten not only the Greek-Turkish analogy, but also the recent genocidal ethnic cleansing in ex-Yugoslavia. Without abuse of force, even mass violence, the idea that a new state must have a monolithic group identity is hardly feasible in an area where religious and ethnic group identities are mixed, as they are in Syria and Iraq. The democratic and humanistic idea of national self-determination will turn upon itself and become dangerous to minorities. Amnesty has already reported of cases where Kurds remove Arabs from territory they control. As an alternative to the idea of “natural” borders for monolithic group identities, we could evoke the secular transnational visions behind such vintage indigenous movements as the Ba’ath parties that held power in Syria and Iraq for decades. The Ba’ath party was founded by a Moslem and a Christian. These ideas could conceivably evolve into a sustainable modern political identity, much like communism in Vietnam. The problem with the brutal dictatorships of Assad in Syria and Saddam Hussein in Iraq may not be their Ba’athism, but that the leaders corrupted its visions. Whatever borders follow the ongoing violence and war, they must under no circumstances be “natural”. Borders must be stable to allow for effective state control of territory to protect minorities, but at the same time permeable to allow for the emergence of regional political and economic cooperation.